Cuisine Cartography – she eats. This isn’t necessarily a map in the strictist sense of the word; it’s more a visual representation of data within a geographic context. But it’s pretty to look at. This map shows the geographic origins of some of France’s many varieties of bread. You can see what we typically think of as “French” bread — baguettes — in the northeastern corner of the country. I’m more intrigued by the crown-shaped breads near Bordeaux (nos. 52 and 53), the aptly titled la couronne bordelaise (the crown of Bordeaux) and the playful soufflâme. And I’m curious as to the nomenclature behind the Corsican bread, la coupiette (meaning, but not resembling, a “little cross”). 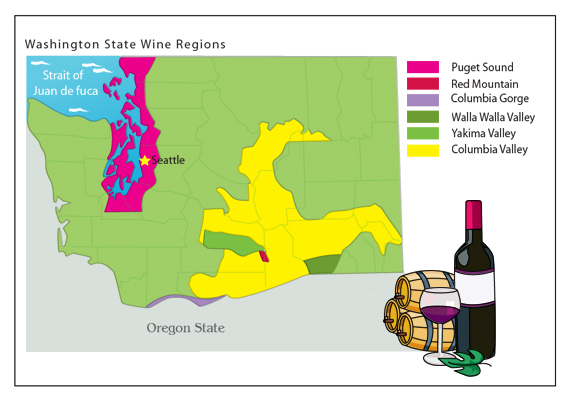 Maps of wine-producing regions are myriad and easy to find. I chose this one because of my enduring love for the Chateau Ste. Michelle winery outside of Seattle. You can find wine maps for just about any region of the world. The link above (Wine Regions) will take you to a good assortment; even more can be found here at Mappery. Oenophiles can use maps like these to plan their next vacation destination, based soley upon their preference for a good Chablis. And if you’re interested in a good Texas wine map, look no further than Go Texan Wine for a seriously high-quality map. The good folks in the statistics department at the Food and Agriculture Organization (FAO) of the U.N. have put together a very interesting series of maps showing food consumption across the world. This map of sugar/sweetener consumption across the world has been superimposed on a map showing nations where 20% or more of the population is undernourished (the shaded countries). This is what’s so great about maps: there is an obvious and immediate correlation between sugar and the relative wealth of a nation, made possible by a visual representation. This data wouldn’t necessarily have the same impact if it were presented in a table or an Excel spreadsheet. Back to the topic of the map… It makes sense when you think about it: if your primary concern is finding some food — any food — to feed your family, you’re probably not going to be too bothered about whether it’s sweet or not. For that matter, if your primary concern as a nation is feeding your population, you’re definitely not going to devote arable land to sugar production, when you could be growing grains. 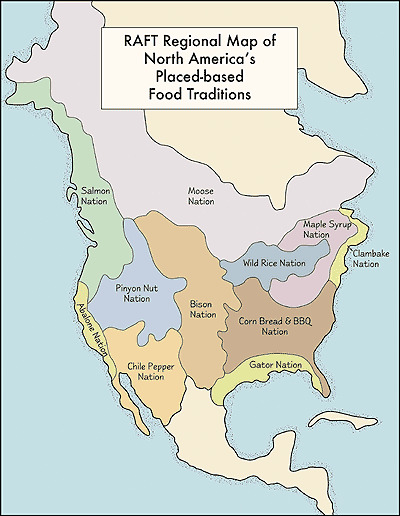 I’d be interested to see more food maps. My Google searches aren’t turning up anything remotely interesting besides these few little gems. If you find any, send them my way!